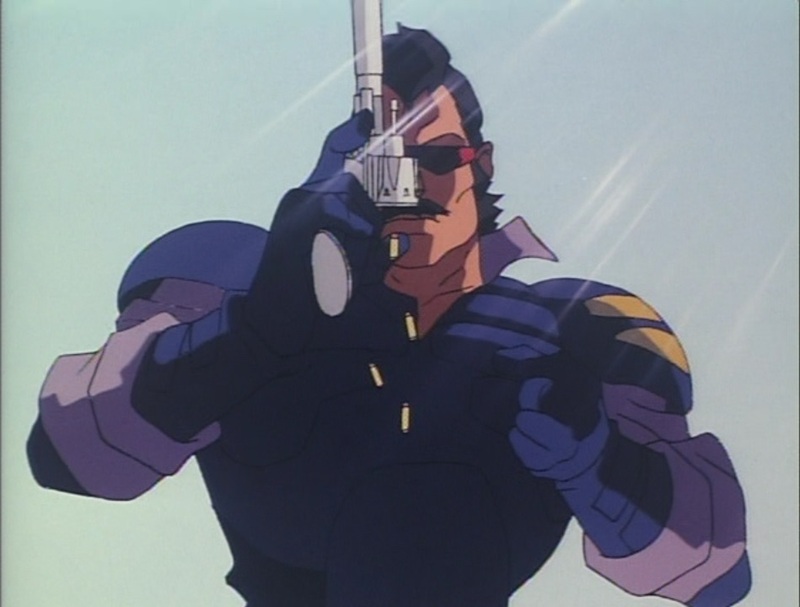 I suppose this six-episode miniseries is a sequel to the first Dominion anime series, but it’s impossible to say for sure that it isn’t just a different adaptation of Masamune Shirow’s manga set further down the timeline. The style and artwork for this newer series is so different from the first one that it’s hard to consider them related. No one important remains on staff from the original series save for Yoichiro Yoshikawa, who was in charge of the music in both series. Not even the actors remain, which seems odd considering the mere six-year gap between the two series; you would think they could get at least one person to reprise their role. New Dominion never refers to or builds off of the earlier series either, so there’s not much connecting the two. This newer series does expect you to be familiar with the characters, though, or at least the concept, as it does nothing to introduce the audience to the situation. It starts off with Leona and her custom-built tank already installed in the police force and jumps right into the story. 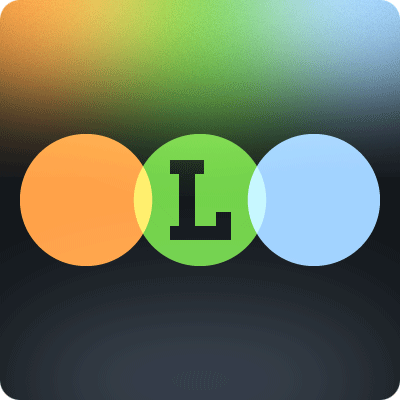 Each episode has a new criminal to hunt down, each one with mysterious goals and resources. Eventually all the pieces get put together revealing a central criminal scheme behind it all that Leona must stop in the final episode. This series is much more focused and plot driven than the prior series, but it also tones down the humor to a constant background feature rather than the main point of the show. This does make the story more dramatic, and raises the tension accordingly, but it also makes the series feel dry and less energetic. What’s more, the humor that does crop up feels out of place because the story isn’t trying to be a comedy any more. Here, the humor is just lip service to the source material, and there’s not much effort put into it. The raucous energy of the older series is sadly absent, and the jokes aren’t anywhere near as funny. 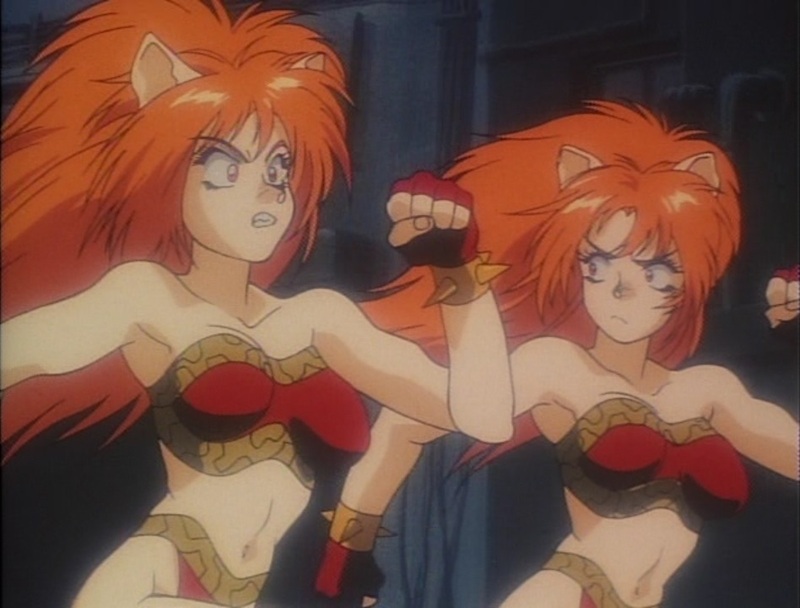 Although the main antagonist of the original, Buaku, is also gone (and never even referred to), the Puma Sisters do return. They are mostly used for comedy, but they also feel less central to the story, just used because they are the most iconic characters of the franchise rather than having any reason to be there. Most of the other minor characters feel neglected, too. This is partly because there are a few more characters to spread the attention to, but a lot of it is that the humor is weaker, which makes the characters’ personalities seem weaker, and thus not as memorable or endearing as they were before. 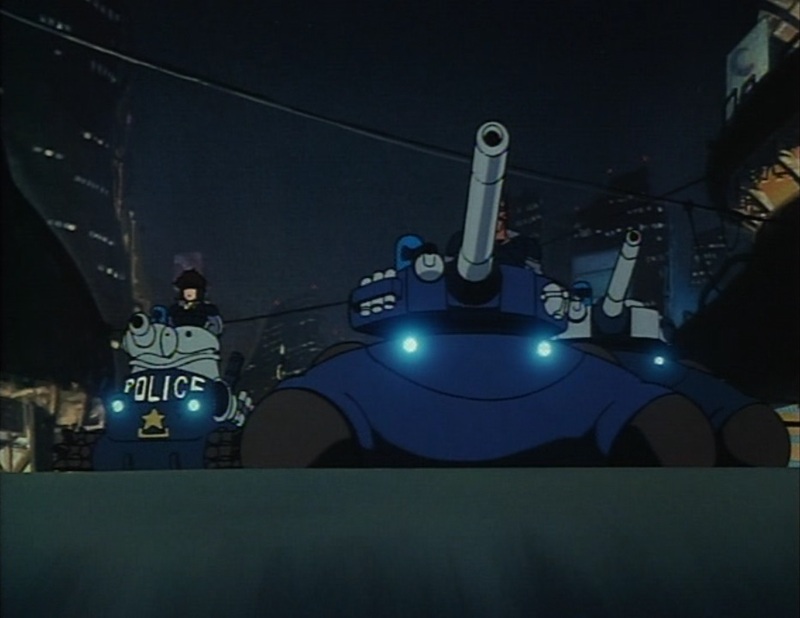 This series sees the introduction of spider tanks, and in retrospect it’s strange that they were absent in the original series considering how often they show up in Masamune Shirow’s sci-fi works. There’s also mention of cyber brains and computer information networks. The series features many fledgling ideas that would become full-grown themes in Ghost in the Shell, which makes me think this series represents a transitionary period in Shirow’s works. It’s been far too long since I read the original Dominion manga to speak with certainty, so that’s just a theory, but it seems plausible at the moment. Despite all these new ideas, New Dominion feels less intellectual than the ’80s series. The fancy new tech is just used as a plot device, a way to make the villains more threatening. The older series takes its ideas seriously as themes and looks at them a bit deeper. Even though it ended up not saying much, and perhaps becoming a bit pretentious in the process, the original series had a sense of importance regarding its ideas that made its story seem weightier and more significant. This new series, even with its more serious tone, feels less serious than the silly slapstick of the original. The reduced focus on humor really drags this series down and makes it less entertaining. Dominion is a comedy at heart. The very concept of the Tank Police is a joke, and trying to handle it seriously doesn’t work. The ending of this series especially suffers as it never even mentions the repercussions of Leona’s rampage. It’s something of a tradition for the tank police to ignore the consequences of their actions, but that only functions as a story element when it is handled as lighthearted comedy. The serious mood makes you start thinking about the situations and their consequences in serious terms. Once you start taking the concepts of justice, revenge, and death seriously, the massive collateral damage inherent in chasing down petty crooks with tanks becomes a plot hole rather than comedy gold. A new entry to the Dominion franchise would have worked a lot better if it had gone the opposite direction, being pure comedy rather than a sci-fi police procedural. New Dominion feels drab and unmemorable, especially since the action scenes aren’t particularly great. The show’s not bad, really. Just average. No matter how many flaws you feel the first series may have had, it was at least unique and unforgettable; its major events are forever imprinted on my brain. But as the years go by, I doubt I will remember much of anything from New Dominion Tank Police.